Simpson Heating & Air is proud to serve the Dover community! 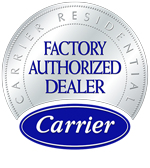 About Dover, OH - Happy to be your hometown Heating & Air Conditioning Contractor! Located in Tuscarawas County, Ohio, Dover is a small city with a population of around 13,000 people. This community was formally incorporated in 1901, and its early history focused around heavy industries like steel and clay pipe works. This community was also heavily influenced by agricultural communities, particularly the Mennonite and Amish communities located in Sugarcreek. Dover is known for its humid continental climate zone with four distinctive seasons. Winters are snowy and cold while summers are hot and quite humid. Dover is home to a variety of unique and historical attractions that might appeal to both visitors and residents. Budding wine connoisseurs may enjoy visiting Breitenbach Winery, Silver Moon Winery, or Swiss Heritage Winery, while specialty locations like the Warther Museum also attract numerous visitors each year. The J.E. Reeves Victorian Home and Carriage House Museum is another popular destination in the area.